Does your business need a highly competent Interim Executive, a Non-Executive Director or a Consultant? Are you facing periods of growth, recovery or change that require additional support? Through my consultancy business, 12th Man, I help businesses in these situations. I bring objectivity, transparency, clarity and priority to my clients to deliver enhanced business performance, drawing on over 20 years of cutting-edge business experience gained across a multitude of industry sectors and geographies. My work is varied but always focused on delivering lasting business transformation. For a confidential discussion about how I may be able to help you or your business, please do get in touch. He provided the leadership, energy and focus behind the redefinition of key trading strategies and the approach to customer management across the European marketplace. As a business we are now much better positioned to move forward and we are very excited about working with Alistair in the future. Alistair is one of those rare individuals who is both a leader and a manager. He is highly people focused and that wins him the loyalty and respect of all around him. I found Alistair to be both strategically astute and an effective leader. What I valued most was his energy, attention on delivering positive outcomes and his humour. He is an inspiring leader, forthright, straight-talking and whose passion to deliver results on time is infectious and exhilarating for those around him. 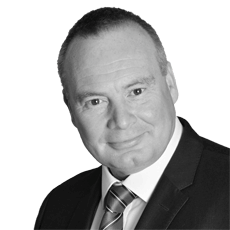 Alistair's professional, methodical and detailed approach provided clear direction and goals without micro-managing. Having worked with Alistair for several months I found him one of the most creative, articulate and commercially astute professionals I have come across. It has been a pleasure working together with Alistair. I can warmly recommend him as a master in driving change, developing an organisation in a quick, effective and very professional manner.